There is a reason why this view of downtown Austin from Lou Neff Point is one of the most photographed vantage points of the city. 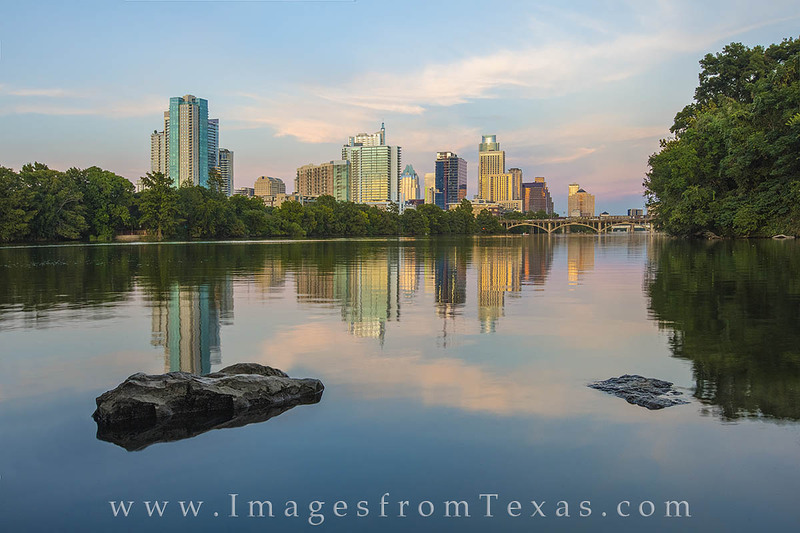 The lookout along the Zilker Park Hike and Bike Trail offers great views of the skyline, as well as nice opportunities for people watching - both on the water as Paddle boarders go by and from folks walking, running, and biking this popular stretch of park. Photo © copyright by Rob Greebon.